Have you ever wondered what resin jewelry is and how you could get some? This article will tell you how you can make resin jewelry at your own home. If you are tired of all the fancy gold and diamond jewelry or are can't to afford it, then you have another option. You could always go in for resin jewelry which is made from liquid plastic that hardens when a hardener is added to it. The advantage of going in for resin jewelry is that, not only is it affordable but also easy to make. Making resin jewelry is so easy to make that you could do it yourself and all you would need is a bit of knowhow, which this article can provide, and the raw material, which any market near you can provide. Making jewelry out of resin gives you the freedom of molding your jewelry to your taste and preference. 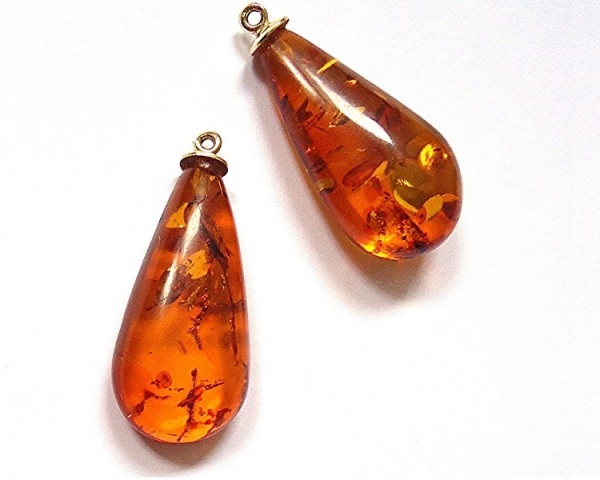 Besides all the obvious advantages, there are two more advantages to making resin jewelry. The first one is that you need not worry about the odor of plastic since the resin available does not have any. The second one is that, if you are making your own resin jewelry, more often than not your jewelry is going to be unique. The first thing you need to know is that it does not take a genius to make resin jewelry. All you need is enthusiasm and a bit of creativity. For the purpose of explaining the process, we will take an example of you trying to put a picture in a pendant. The very first step would be to get all the material you need in one place. Also make sure that you have chosen a well ventilated room for your work. The fumes from the chemicals should not be trifled with. It would also be wise if you wore old clothes so that if you stain them by accident, it’s no great loss. Wearing gloves while working on resin will be a very good idea. Make sure that you have protected your workbench also. Spreading a newspaper on it would help keep the mess off it. If you need time to make changes once you have poured the resin, then it is suggested that you use clear casting epoxy resin. It takes at least a day to cure, giving you enough time to make any changes you want to. Using a plastic cup to make all measurements would be good. Don’t use disposable glasses coated with wax because the chemicals might cause the wax to come off and fall into the resin. In case you are trying to put a picture in a pendant or a mold of any sort, make sure that you measure the mold and cut the picture to the exact shape and size of the mold. Before you put the photo in the mold, make sure that you fix both sides of it with sealer, glue and finish. This will protect the photo from getting destroyed by the chemicals in the resin. If you see bubbles forming in the resin, you can get rid of them by blowing gently on the resin. The carbon dioxide in your breath will cause the bubbles to pop. Be careful and don’t blow too hard as that might spoil the shape of the resin. No matter what resin you use, make sure you let it cure completely before you start admiring your handiwork. If you are not interested in photos in pendants, you can get molds and make any kind of a jewelry you would like with resin. You can even get creative and make bracelets, pendants (without photos), earrings or necklaces in any color that you like.